A small amount of work on Tarja and her base. Progress! Not much to say, except that I’m pretty happy with the red. 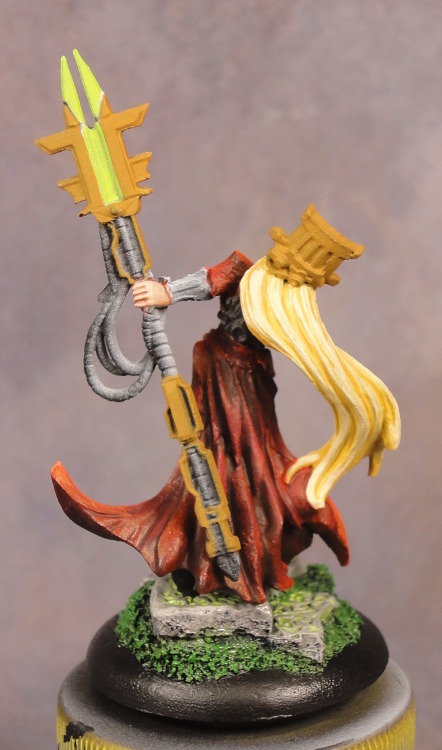 I will probably do gold NMM, as I think I can pull it off on curved surfaces. I’m not sure what to do with her staff yet. Continuing with Tarja, I have mostly finished the face and other skin areas. 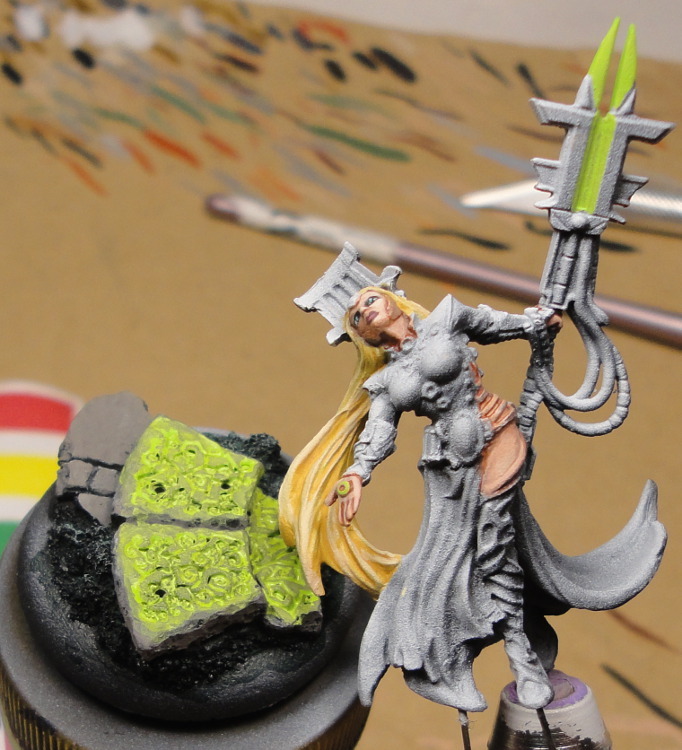 I started on the hair and the base, and threw a little Alien Goo on her staff for flavor. SUPER-CLOSEUP to make my painting look terrible. 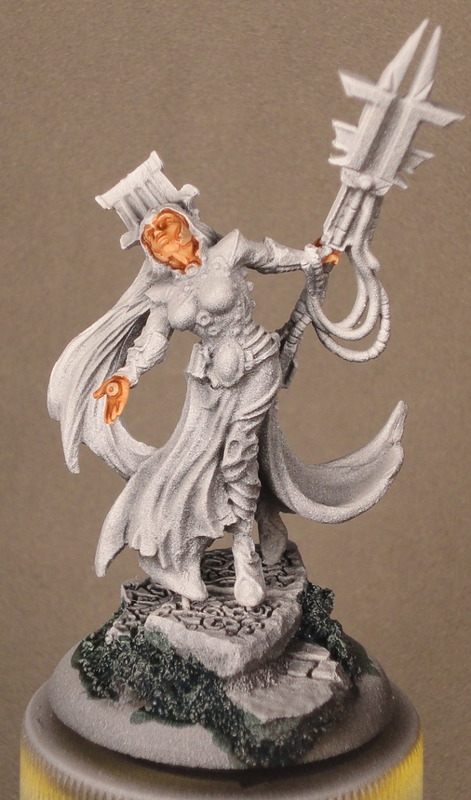 I picked up the resin version of Tarja, Yaga Soul Weaver from Hobby Bunker while attending NEMPA yesterday. The detail is wonderful, as expected from a boutique maker, but the cast was only average – much worse than the Yoko the Psycho in metal I got from the Kickstarter. There were noticable mold lines, several small bubbles, and fair-sized gaps to fill. Not bad by any means, but it doesn’t give me particular faith in the spin-cast resin process. After assembly and cleanup, I gave her an initial directional highlight and started the skin with RMS Rosy Skin and RMS Flesh Wash. The base is from Micro Arts Studios. 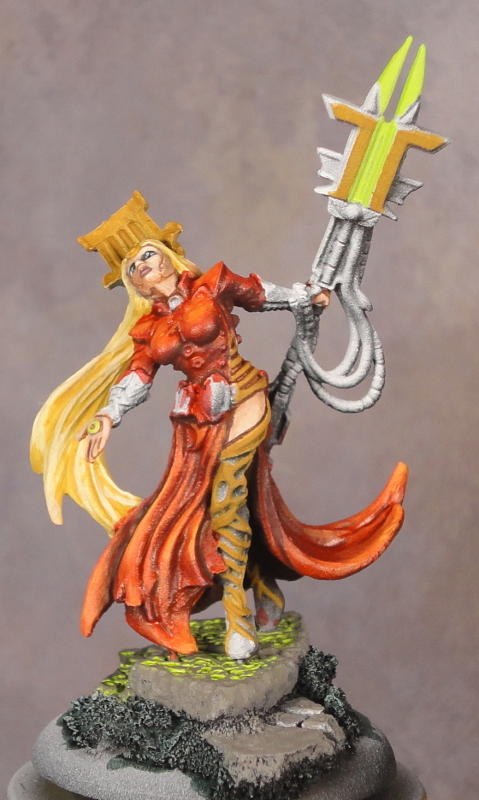 I think I am going to paint her up as an alternate for a Khador warcaster – probably Zerkova because she’s the more wizardy of the two possible candidates. 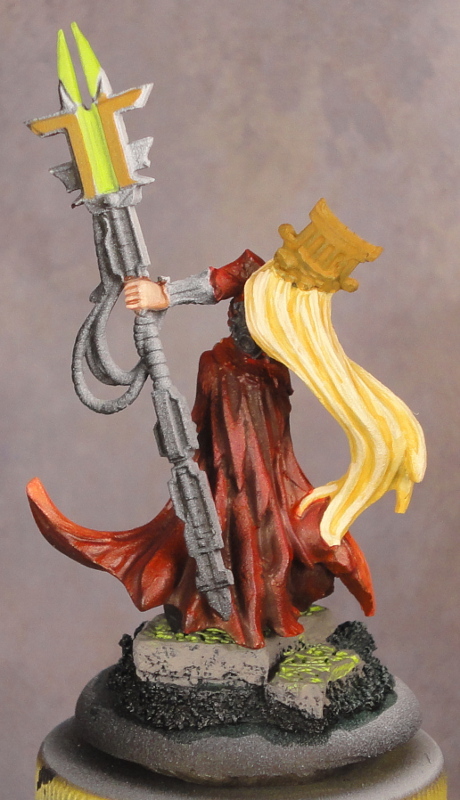 That will make the robes red, and the weapon (and ruins) have a green glow. Maybe this will give me an excuse to pick up the Secret Weapon Fallout wash I’ve been eyeballing but haven’t figured out how I could possibly use it.